Hey friends! Hello from Edwards, Colorado. I’m out here until Sunday so my posts may be a bit less frequent until I am back home. 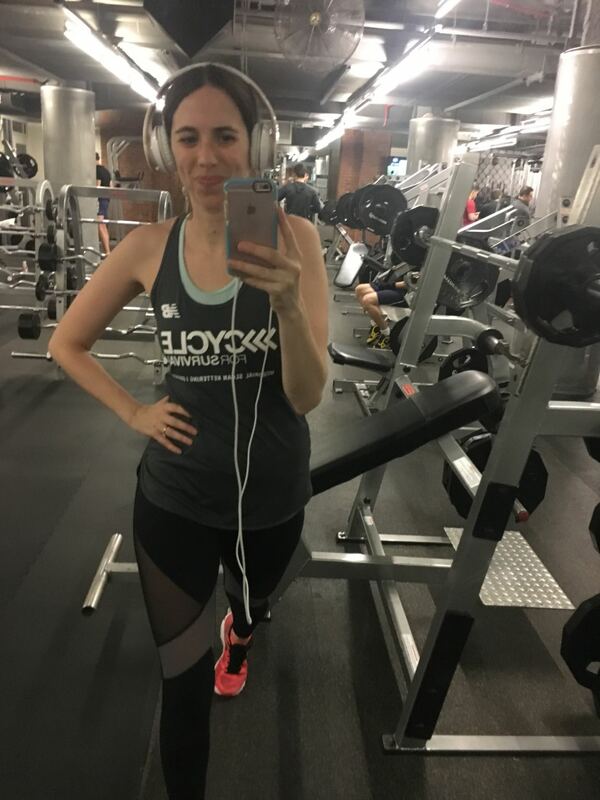 Last week was freezing and icy in New York and my workout choices were all in service of staying warm and inside as much as possible. Did you let the weather get in your way? 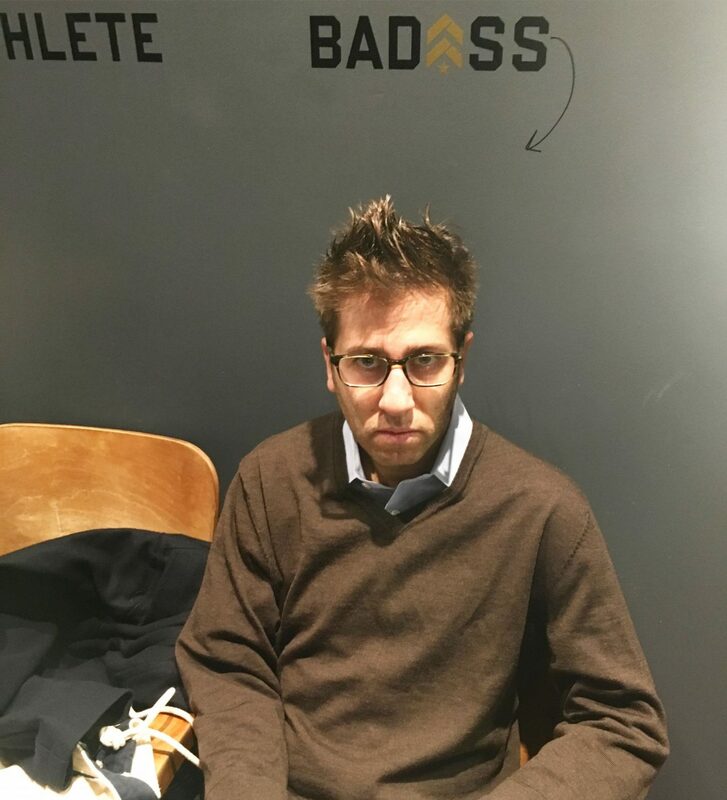 Tuesday (aka SNOWMAGEDDEN): Matt and I took an early morning Flywheel class. (There is a studio two blocks from our house.) I got pelted in the face with hail on the walk there (and back) but it was great to get a workout in before bunkering down in the storm. Wednesday: Using Classpass, I checked out the 24 Hour Fitness near my office. I ran a mile on a treadmill, listened to Jai Ho about 10x, did some arm exercises and bounced. I forgot my running headphones so rocked this special look. Thursday: I signed up for an early morning Barry’s class at their UES location. It’s the smallest NYC studio (I’ve been to them all) and I really liked it! It was abs day. Saturday: 7-mile run in Denver, Colorado. Our March Colorado ski trip is in it’s third year. (Read about the last two years here: 2015, 2016). Matt’s sister lives in Denver, so we like to make a stop over on our way to the mountains. Matt and I ran (not together) on the Cherry Creek Trail in Denver. The altitude (about 5500 feet)was noticeable but we didn’t suffer enough to give up. 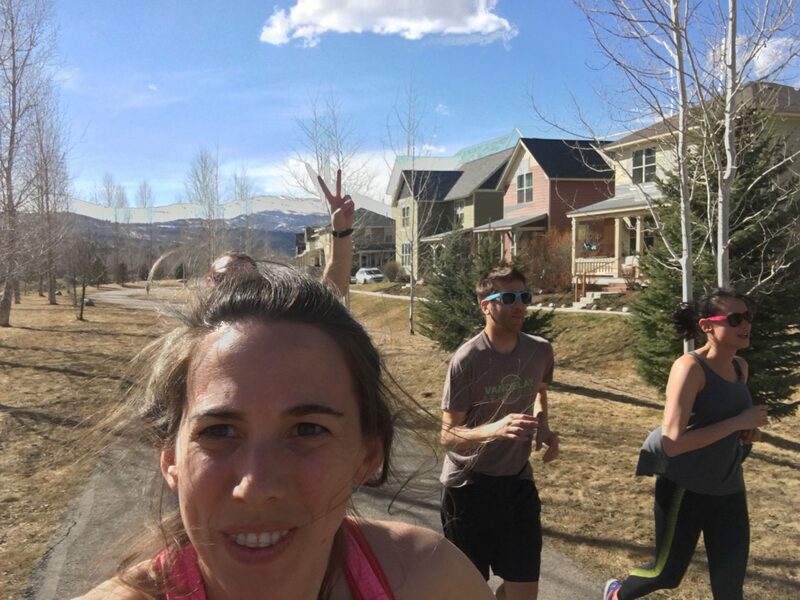 Sunday: 4-mile run with Katy, Jon, and Matt in Edwards, Colorado. The altitude here is 7300 feet. I definitely felt it. Edwards is a little outside the town of Avon, Colorado (near Beaver Creek, a ski resort).